← 10 Historic Cocktails of New Orleans! I find podcasts to be really useful in voids of time, like commutes and shuttling my spawn around. From informative to entertaining, they can turn empty moments into more productive ones, and they certainly beat staring aimlessly at brake lights. 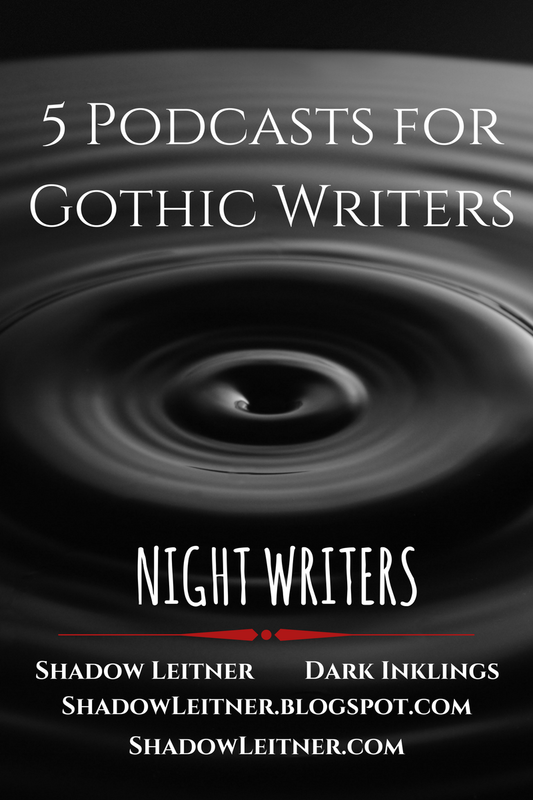 So, in no specific order, I’ve compiled 5 useful podcasts for Gothic writers. This podcast, by award-winning author, K.M. Weiland, gives a lot of great information on the craft of writing in general and all the episodes are worth checking out. 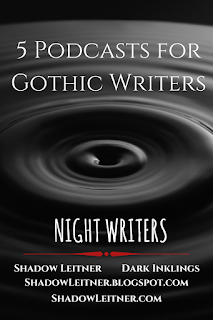 But, here are a few episodes that are particularly helpful for writing Gothic fiction. 2. Writing ExcusesThis is an award winning podcast for writers, and there are a lot of fantastic episodes as they are in season twelve. Before you break out into a sweat over the volume of episodes, these podcasts are short, about fifteen to twenty-five minutes. And here a few places to start. Season 11 – Elemental Genres. This was a really great season with a lot of information on genres and there are podcasts dedicated to Horror, Mystery and Thrillers, with information that can be applied to Gothic Fiction, but there is a bonus podcast in this season that is a real gem called, Horrifying the Children with Darren Shan. Mystery Plotting: Discusses plotting principles for any discovery and revelation plot and is not just for the Mystery genre. Horror: Discusses what makes a story scary and tools for writing tension. Lovecraftian Horror: More great writing tools for Dark Fiction. If you haven’t heard about this award winning, critically acclaimed podcast about true life scary stories, you shouldn’t waste another minute missing out. I can’t say enough about how much I love this podcast. It isn’t a podcast on writing but will definitely give you all kinds of story ideas and inspiration. The storytelling is beautifully done by writer, host and producer, Aaron Mahnke, who is also the author of many supernatural thrillers. A lot of the music is composed by Chad Lawson whose haunting music is often on my writing playlists. Episodes to start with is ALL OF THEM. Hurry, go now, don’t walk, run. Bonus podcast: A Gothic Story : A podcast by the British Library to accompany an exhibition they held called Terror and Wonder: the Gothic Imagination. It wonderfully chronicles the birth of Gothic Fiction and all of its monsters. How about you, Night Writers, do you listen to podcasts for inspiration and techniques? If you do, definitely share which ones, I’d love to add them to my list. I love podcasts! They really help pass the time faster during a long trip or while exercising.